What is corporate wellness exactly? Corporate wellness is hardly a new concept in the business world but it’s grown in incredible ways as employers see the positive affects a work-life balance has on employees and their performance. Most companies have corporate wellness programs for staff in the way of staff fitness facilities or discounted rates at nearly by recreation centres. Recently they’ve also began incorporating health conscious meal options in staff rooms. The idea of corporate wellness goes back to the 1800s when Robert Marcus Owen proposed a 10-hour work day to help protect the wellbeing of employees. By 1817, he proposed the 8-hour work day, creating the phrase “eight hours labor, eight hours recreation, eight hours rest.” Although this was the start, true workplace wellness programs that we know today did not really begin to exist until the mid-1970s. This is when employers felt the shift in financial responsibility for health care, from government to employer. Of course wellness is more than just healthcare.The National Wellness Institute, lead by Bill Hettler, defined the six dimensions of wellness as: occupational, physical, social, intellectual, spiritual, and emotional. The idea is that attempting to achieve a sense of wellness and balance in these six dimensions is the process to achieve a person’s full potential. It involves lifestyle, and the environment that surrounds the person. There are many ways a company can create an environment that helps their employees with their wellness process. While some dimensions cannot necessarily be achieved through workplace, physical is one an employer can work on beyond the obvious two of intellectual and social. The first and most common way to promote physical wellness in the workplace is an in-house fitness centre. This is easy to set up in a vacant space in the office and while it could be costly at the beginning, the convenience for employees pays it off quickly. Fitness centre memberships cost upwards of $60 a month, so adding it to employee benefits is an attraction for potential hires. The other option many employers choose is a subsidized membership at local fitness centres. Rather than individual activities, some workplaces also opt for group activities like post lunch yoga lessons. Yoga is a popular option as it allows individuals to go at their own pace, and is more than just physical wellness as it incorporates social and emotional wellness as well. Another achievable option for physical wellness is the food options given by the employer when there is a lunch program in place. Health conscious options can go a long way to help employees change their eating habits, which has a direct effect on energy levels. Energy levels for employees is not the only benefit to corporate wellness programs. They build better living spaces and social networks which leads to an enrichment of life through work by connecting work to living & playing. On top of that, the normal benefits of regular physical activity and healthy eating positively affect strength & vitality. Studies have proven this is directly linked to higher productivity levels at work, which is a bonus for the employer. Plus it’s also proven to lead to lower absenteeism, higher job satisfaction, higher employee retention, and lower health care costs. It’s clear that corporate wellness programs are a win-win for employers and employees alike. While it’s easy to work on these programs within the office, many employers aren’t aware how they can apply them when they’re on the road. Our hotels are able to help you during conferences, meetings, and general business travel in a variety of ways. Delighted to serve in so many ways! Our award winning Executive Chef is known best for for his perfectly cooked steak, but there’s nothing Chef Andrew does that’s just average. Chef goes above and beyond to create custom menus based on preferences and dietary needs. 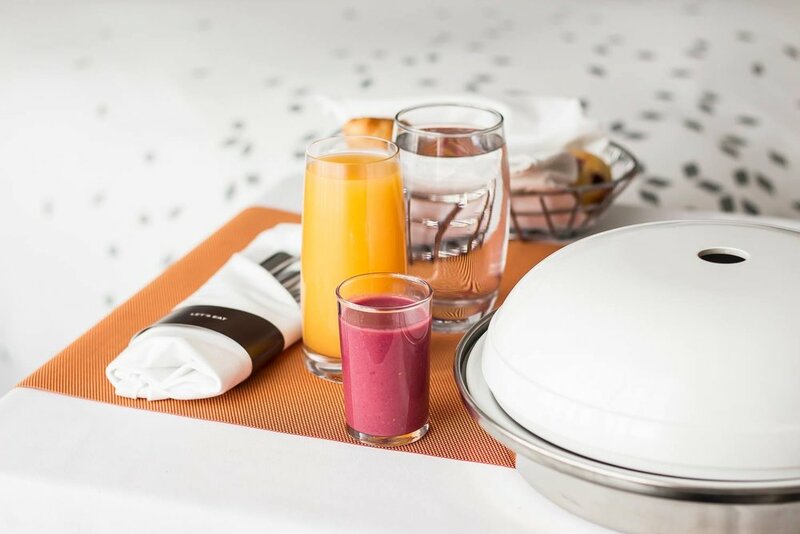 Healthy snack breaks include house made granola bars, a variety of smoothie shots, and sugarless yogurt parfait. 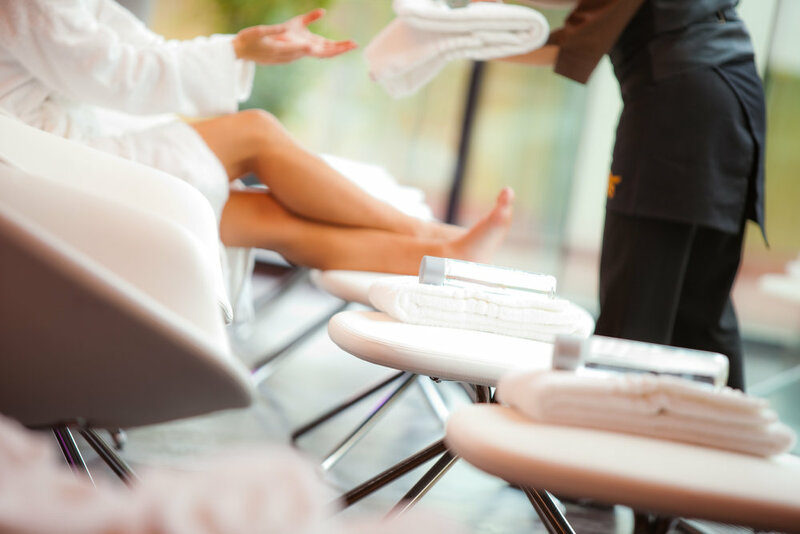 We have an exclusive hotel partnership with Escape Wellness which offers Mobile Registered Massage Therapists as add-ons to meetings and conferences, with options for chair or full bed massages. The waivers are sent beforehand and the cost is simply invoiced through the hotel to keep one convenient bill for the company. There is a minimum 2 week notice and minimum 2 hour booking for groups. Our Yoga Breaks with Desirae Roth are offered for guests on select days of the month, but can be booked for corporate events and meetings as well. Desirae Roth had taken the 200 Hour Yoga Teaching Program as an asset for her personal training clients, but quickly saw benefits of inner peace and positive energy. She offers two styles for corporate clients: beginner gentle flow + vinyasa, and strength + flow + restorative. B3 training with Bodies by Bennett is an elite program by Edmonton’s original private training studio. Their clientele include the Edmonton Oilers and the Edmonton Oil Kings, giving them a reputation to be the best in the city.They work to challenge physical strength and intellectual strength, using the motto “I can, I will, I want to.” This type of training helps with focus, and highlights the connection between a hard working body and sharp, clear mind. Options for meetings include 15 minutes energy booster breaks over a variety of activities suitable to any fitness level.